For 4 days days this July Birra Moretti is hosting a Gran Tour at Space Studios in Mare Street, Hackney, featuring lots of Italian cuisine from pizza to gelato. Runing from Thursday 16th - Sunday 19th, it's £10 to get in, which gets you two dishes, two beers and a galato. You can purchase more dishes and beers when you're there. Don't miss it! Each vendor will showcase authentic cooking methods and share signature regional dishes they are representing, such as a pizza from Naples, arancini balls from Sicily and Panino Teca with famous truffles from Norcia, plus a host of others. 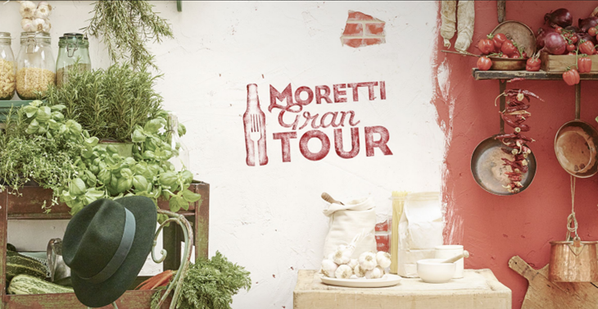 This year’s Gran Tour continues Birra Moretti’s rich heritage in the UK street food movement. Over the past decade, Birra Moretti has been involved with Street Feast, Urban Food Festival, Big Feastival, Pizza in the Piazza and Model Market to name just a few. 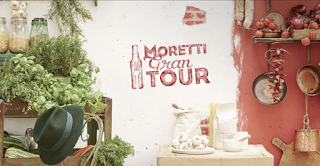 TV chef and event maître d’, Joe Hurd commented: “The Moretti Gran Tour blends all the important aspects of Italian culinary culture, from great ingredients to regional delicacies, alongside the popular street food movement. David Lette, Birra Moretti Brand Director said: “Last year’s events were hugely successful, so we’re really excited to bring the tour back again- taking the best of Italy to more cities and with more vendors. "Enjoying great beer and food with friends is an important part of both Italian and British cultures, so together with our street food partners we are looking forward to creating an event that is not to be missed”"